Macau’s newest spa, Morpheus Spa, takes luxury to a whole new level. As one of the foremost luxury spas in the region, Morpheus Spa occupies two floors at the iconic Morpheus Hotel and takes an unprecedented approach to the art of beauty and relaxation, stepping boldly out from the crowd with its array of world-exclusive concepts, globally acclaimed brands and cutting-edge treatment programs. For VIP guests, a spa journey starts with the Spa Butler escorting them from hotel rooms to the spa for consultation, which allows for the creation of the optimal treatment program, addressing personal needs as well as preferences. Upon entering the sanctuary for the soul, a serene “snow garden” featuring real snow comes into sight. 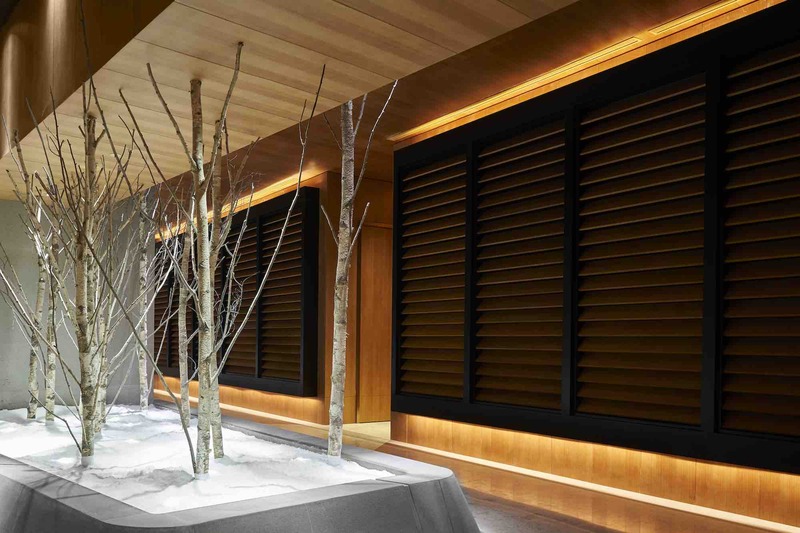 Designed by globally renowned interior designer Peter Remedios, the Scandinavian-inspired snow garden maintains a temperature of five degrees below the ambient temperature to generate its mystical scene, transporting guests to another world. Highlights on the menu at the exclusive spa include the 90-minute “Margy’s Lift Up” signature treatment, which smooths wrinkles and rejuvenates the complexion, and the 120-minute “Haute Couture Facial” which employs active ingredients and the beneficial effects of pure collagen to plump and provide a lasting hydrating effect to the skin. “The products that I have designed basically contain ingredients that can be found naturally in our body, such as hyaluronic acid,” says beauty expert Margie Lombard, founder of Margy’s, who has more than 40 years’ experience in the industry. The acclaimed and international-award-winning Margy’s Monte Carlo brand is strongly associated with a sense of nobility, being a longstanding favorite for royal families from Monaco, Russia and beyond. At Morpheus Spa, the global-exclusive, world’s first platinum mask treatment from the prestigious brand is offered as a 20-minute add-on to other treatments. This unmissable mask slows down collagen depletion and detoxifies, helping to regenerate skin cells and restore elastin.